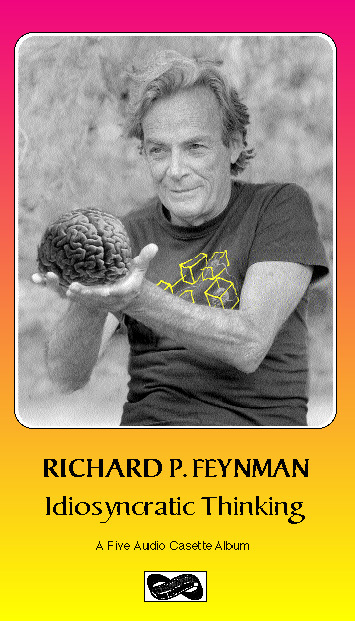 Richard Feynman originated the idea of quantum computing, nanotechnology, as in molecular machines, in the early 1950s. One of the greatest physicists, teachers and renaissance men of the twentieth century. He was broadly celebrated in the science world by the time his popular best selling books were published until he came into the public awareness during the Congressional hearings when he was televised demonstrating one of the problems with the Space Shuttle Challenger causing the disaster by showing the temperature variable with the material used in the O-rings. Historically celebrated as one of the most brilliant physicists, teachers, and original thinkers, Professor Feynman is the acknowledged inventor of quantum computing. In the spirit of Feynman: find out what computers means, find out what heuristics means, find out what idiosyncratic thinking means, find out what the pleasure of finding things out means. Richard Feynman joyfully shares the fun of understanding systems - he calls the workings of the machine we are discussing, “The guts!” A professorial/conspiratorial tone carries his entertaining introduction to his attentive non-technical audience, "One of the miseries of life is that everybody names things a little bit wrong, and so it makes everything a little harder to understand in the world than it would be if it were named differently." 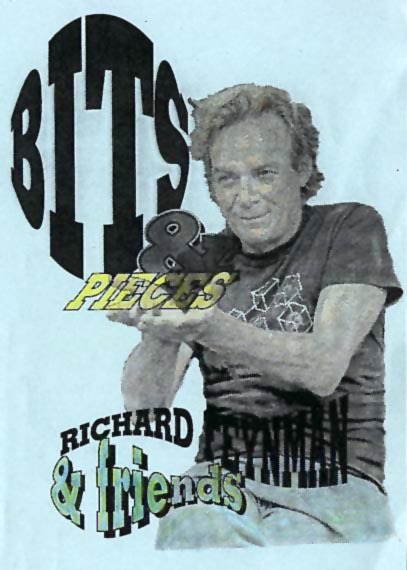 The program begins and Richard Feynman is waiting for you on the playground of your mind. You will be amazed at how smart you are after immersing yourself in Feynman's world. These first 2 DVDs, Computers From The Inside Out and Tiny Machines are worth viewing many times, showing them to your family, friends, students and class. TRT 1 hr. 17 mins. 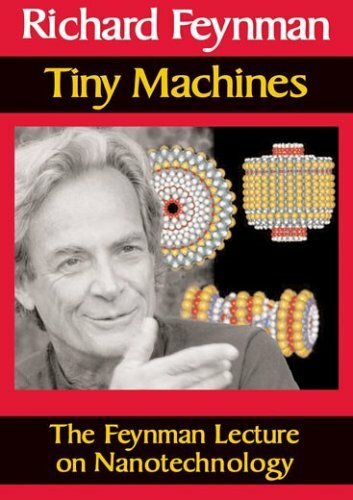 Richard Feynman originated the idea of nanotechnology, or molecular machines, in the early 1960s. Here he explains the idea to a general audience, and illustrates it using slides and diagrams. The talk is amusing, entertaining, informative and a classic in the history of technology. One of the greatest physicists of the twentieth century, this man located the problem with the Space Shuttle Challenger during the hearings. On this tape he talks about the tiniest tools and the fascinating way they work. Tom Van Sant's eye art piece is discussed and pictured in the video. TRT 80 min. 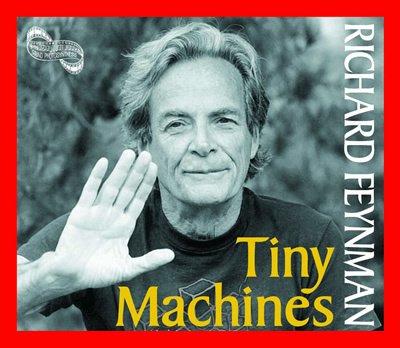 A very brief (90 minute audio) edit of the workshop is available in audio and the set of videos is presented with very little editing...both are a must for dedicated Feynman fans--8 hour video. If you must have audio its available, but the video is much better. Two years of insight spoken during two five day workshops went into the making of the five-tape audio album. The video is an abbreviated highlights tape, stressing the visuals. 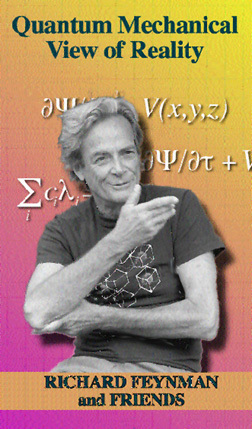 Feynman fans are going to want both the audios and video of this series. Five 90 minute tapes. The Letters Of Richard P. Feynman. Michelle Feynman collects her famous father's letters to reveal a warm, honest man with high expectations for himself, his loved ones, and the human race. Long before Richard Feynman won the Nobel Prize, he was a smart, skinny graduate student at Princeton, writing letters to his mother and relating the mundane details of college life. 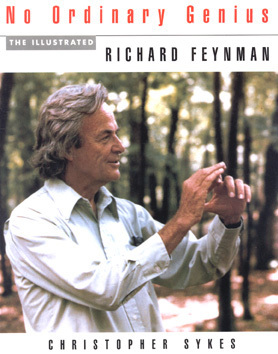 Any Feynman fan will have to have this book. 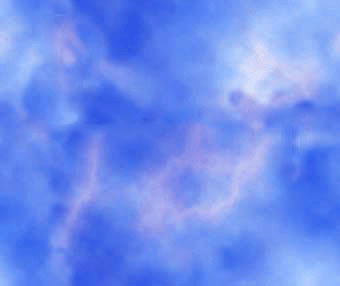 The NOVA program, produced by Christopher Sykes of BBC, has been viewed all over the world. Gratefully, Sound Photosynthesis is fondly mentioned. 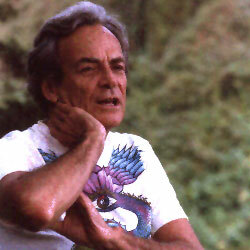 Richard Feynman . A Life in Science. 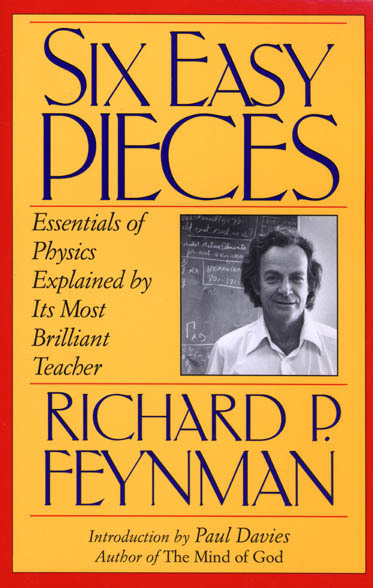 Designed for non-scientists, Six Easy Pieces is an unparalleled introduction to the world of physics by one of the greatest teachers of all time. If one book was all that could be passed on to the next generation of scientists it would undoubtedly have to be Six Easy Pieces. ---John Gribbin in New Scientist Available in limited number. Surely Youre Joking Mr. Feynman. Adventures of a curious Character. In April 1963, Richard P. Feynman gave a series of remarkable lectures at the University of Washington in Seattle. These three consecutive talks were classic Feynman. 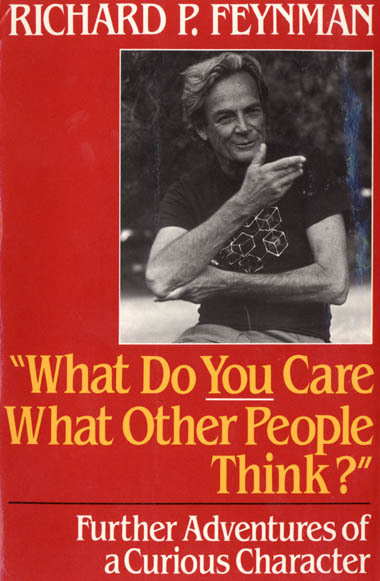 Full of wit and wisdom but their subject matter was wholly unexpected: Feynman spoke not as a physicist but as a concerned fellow citizen, revealing his uncommon insights into the religious, political and social issues of the day. The Pleasure of Finding Things Out. The Best Short Works of Richard Feynman. 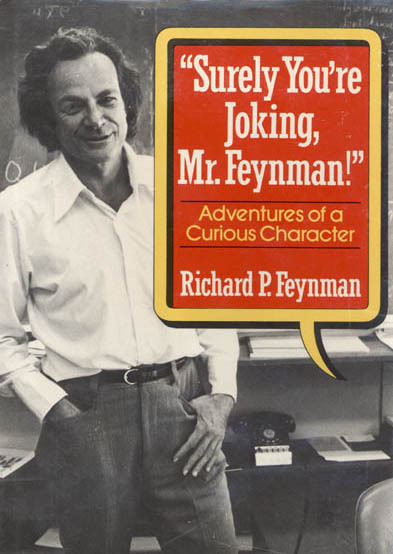 It all began when Richard Feynman, Nobel Prize-winning physicist, jazz drummer, all-around character, and author of the bestselling Surely Youre Joking Mr. Feynman!, asked this question of his friend and collaborator Ralph Leighton over dinner one night. Whatever happened to Tannu Tuva? It took ten years to find the answer, as the two men followed a trail of dated travel journals and Soviet radio broadcasts to a remote region in central Asia--a place whose capital doesnt have a single legitimate vowel and whose natives practice a bizarre form of throat-singing. This exhilarating book also records Feynmans valiant ten-year struggle with cancer, his battle with NASA bureaucracy as he tried to unearth the truth about the Challenger disaster as a member of the Rogers Commission, and an extraordinary friendship between two zany strategists that ended only with Feynmans death. Tuva or Bust! is high adventure of the mind and spirit, overflowing with intellectual curiosity and a sense of the utter gravity of fun. Out of print paperback book, available through our book search in limited numbers. Inquire.